BlackBerry Motion is the latest Android-powered offering under the famous smartphone brand which comes at a somewhat more reasonable price than some earlier offerings. It parades a large Full HD display, an octa-core processor, and a huge battery. If you are someone that likes flashy things, the BlackBerry Motion may not be a perfect fit. It looks like one thick slab of metal. People who want a rugged smartphone appear to be the focus here. BlackBerry Motion has a textured feel on the rear that reduces risk of slipping. An IP68 rating means this enjoys protection against water and dust. The device packs a 5.5-inch display with a resolution of 1,920 x 1,080 pixels. It uses IPS technology, although some may argue AMOLED would have a better choice. For shot-taking, the BlackBerry Motion features a 12MP primary camera that looks to supply quality shots. It has an aperture size of f/2.0. Features include phase detection autofocus and dual-LED dual tone flash. Users will be able to record Full HD videos. An 8MP front facing shooter takes charge of selfie taking. The BlackBerry Motion offers 32 GB in onboard storage, with this being expandable by up to 256 GB. There is a respectable Qualcomm Snapdragon 625 chipset on the inside of the BlackBerry Motion to provide muscle to get things going. The octa-core processor pairs with an Adreno 506 graphics solution and 4GB RAM. It speed tops at 2.0 GHz. This should get games and apps running smoothly. As for the OS, you get Android 7.1 Nougat – the choice here could have been better apparently. One can say the BlackBerry Motion impresses with its 4,000mAh battery. Although cheaper devices offer similar, some more expensive offerings have lower-capacity juicers. The non-removable unit should deliver respectable runtime. Available sensors include a fingerprint scanner, a gyroscope and an accelerometer. The device supports 4G LTE connectivity for faster mobile data speeds. BlackBerry Motion also features a reversible USB Type-C port. BlackBerry Motion is not yet available in Nigeria, Kenya, or Ghana. We currently have no data on pricing and availability for Nigeria, Ghana, or Kenya. 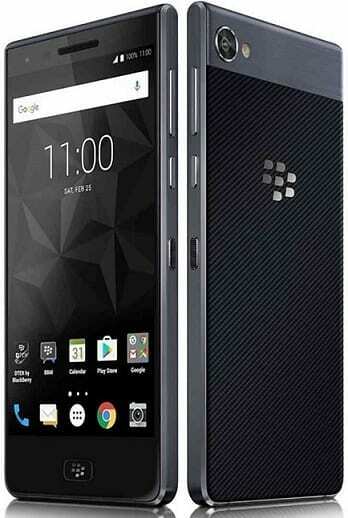 When available, BlackBerry Motion Price in Nigeria is expected to range between 185,000 Naira to 250,000 Naira at launch, depending on your location.